Below are examples of lessons that have been created with SoftChalk. Click the “View Lesson” link to see the lesson as it would appear to students. 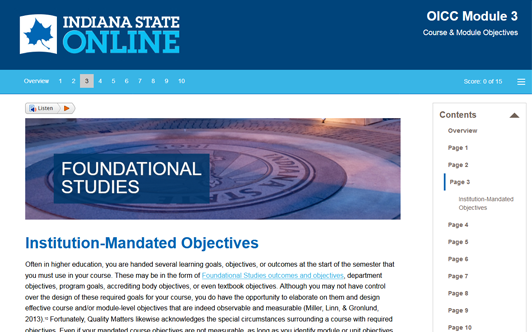 In this lesson, you will learn how to develop meaningful, measurable, and observable learning objectives for your online course based on Quality Matters Standards. 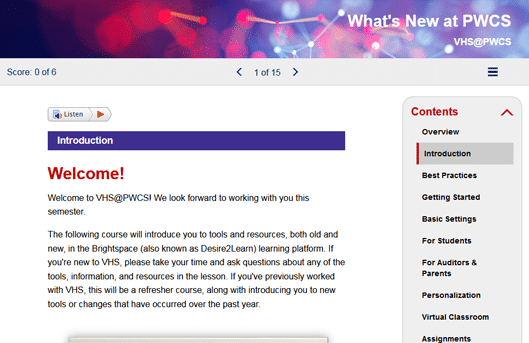 This course will introduce you to tools and resources, both old and new, in the Brightspace (also known as Desire2Learn) learning platform. 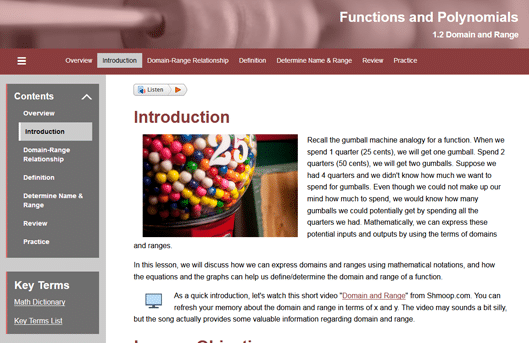 This lesson will show how to express domains and ranges using mathematical notations, and how the equations and the graphs can help define/determine the domain and range of a function. 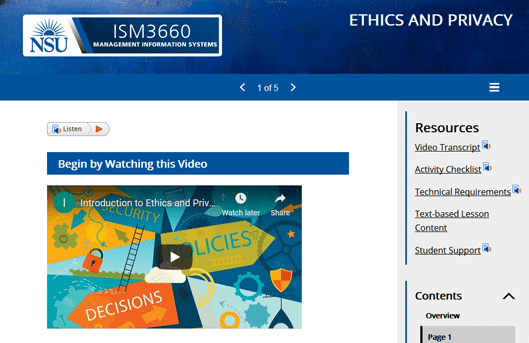 Higher education Management Information Systems course. This lesson will help you understand how to protect yourself and contribute to your company’s code of ethics and privacy policies if you are in a position to do so. Please fill out this quick form to access all sample lessons.